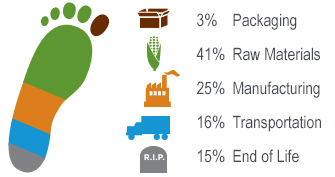 We've engineered our newest line of take-out containers to combine environmental benefits with top-notch performance. Our World View™ Containers combine sugarcane bases with rPET or Ingeo™ lids for maximum strength and optimum presentation. 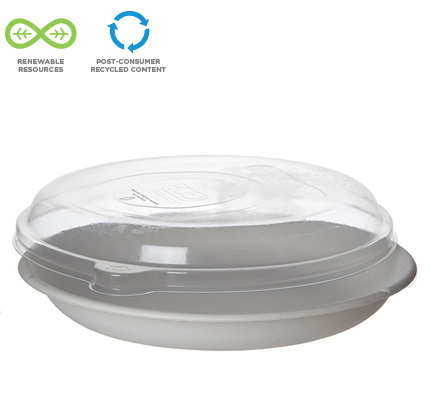 100% Post-Consumer Recycled Content Lids fit tightly on our 9in Round Take-Out Container and are hot and cold food friendly. Dimensions: 8.4 x 5.5 x 1.4"
Dimensions: 10.7 X 6.8 X 2"
Dimensions: 10.7 X 6.8 X 1.8"
Dimensions: 8.8 x 5.9 x 1.4"